Do you secretly hate Valentine’s Day a little bit? Do you secretly hate it a lot? If you’re single – it can be kind of depressing or make you feel more alone. If you’re in a relationship – it can sometimes be anticlimactic or disappointing even if you and your partner do celebrate it in some way. Whatever the case, and however you feel about Valentine’s Day, I want to offer you a beautiful alternative to feeling depressed, down or disappointed by Cupid this year. Single or partnered, why not do something completely different this year? If you’re ready to change it up, I’ve got something for you! 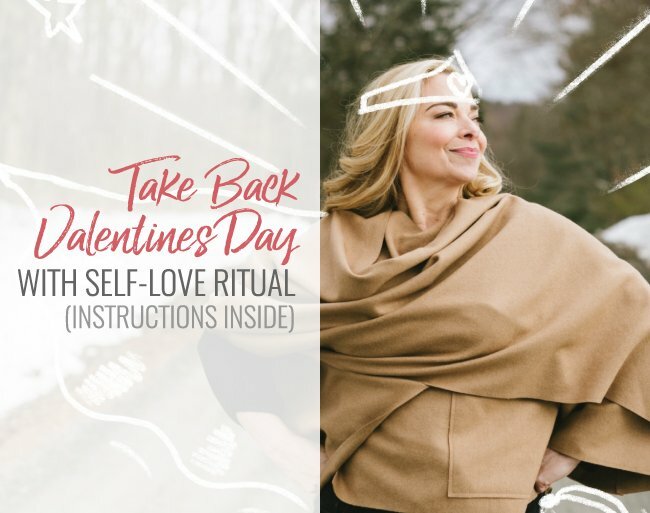 This ritual is the perfect way to practice falling wildly in love with yourself this Valentine’s Day. Give it a try. Make a shift. Really flex your self-care and self-love muscles, and I promise you, it will make a difference in how you’re feeling. Watch the video below to get my take on Valentine’s Day, all things REAL love and your Self-Love Ritual. When you practice self-love, you put out certain energy and vibration into the world and that attracts others who have similar energy or vibration. Having a healthy self- esteem means that you can draw healthy boundaries with ease and grace, you can speak authentically, and negotiate for your own needs. If you have low self-esteem and you think you are not worthy of kindness, love or of being cherished, you will inevitably attract people into your life who agree with you. If you are in a relationship and insist on doing everything for yourself and don’t express your desires and preferences, you are basically training your partner to NOT step up for you. It’s tempting to lie to ourselves by brushing disappointments off as “no big deal.” But the reality is that it IS a big deal. Your self-regard is directly impacting who you attract and what behavior you invite into your life. What happens when we mindfully take actions to elevate our self-regard and our love vibration is pretty amazing. We actually learn how to make ourselves feel good. When we really prioritize ourselves and seek out things and experiences that bring us joy and pleasure for just for US…it’s a whole new level of being able to be really present and enjoy things. Because we’re not enjoying it because someone else did it for us or gave us something… we’re reveling in the fact that WE did it. There’s something incredibly empowering about the practice of actively and mindfully creating your OWN bliss. About not waiting around for someone else to do it for us. Now we can set ourselves up for repeated disappointments in life (hello, V-Day, I’m lookin’ at you), or we can make a choice to do something different. 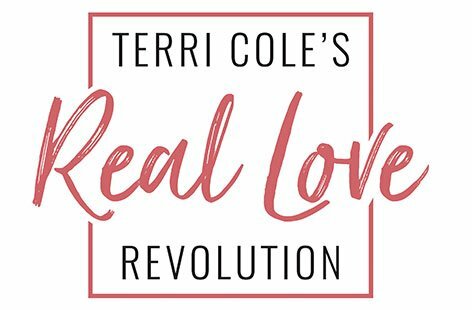 Please share what you decide in the comments, on my social media, or if you are a woman in my amazing group of like-minded and like-hearted lady loves inside the Real Love Revolution private Facebook group (and if you’re not a member yet click here to join us! It’s totally free. 😉 I would LOVE to hear what you come up with. You are it for me, I’m completely mesmerized by your potential to live a life that absolutely lights you up! If I can in any way be a part of that experience and be a kind of catalyst for you to live the life and have the relationships of your dreams, then that’s my dream. If you liked this episode today, if it does anything for you, if it inspired you, please share it, with someone you know will get some real value from it. All of the work that I do is based on my strong belief that self-love is the only path to all other healthy, fulfilling love. The intention of this ritual is to emphasize that it isn’t about someone else making you feel a particular way…it’s about taking responsibility for making yourself feel loved and supported. By doing this and raising your own vibration and self-regard, you put out energy that attracts similar energy. It is so important that you get your own relationship to yourself in order before you go out and spend money, time, and energy on trying to find fulfillment with another person. If you don’t figure out that self-loving relationship first, you might continue to attract unsatisfying experiences into your life. Right on Jamie! Yes, take care of you and keep those boundaries in place! Cheering you on. I’ve sent at least 2 questions and comments upon invitation and didn’t get any response. That’s totally ok because I get you’re really busy and wasn’t necessarily expecting a reply. I think it’s interesting though that you say you always respond because you’re so all about it. Kimberlea, my apologies that you reached out and haven’t had a reply. Your question is important but I don’t see where you wrote to me prior to this message. Could you please send it to support@terricole.com and we will take care of it?